Synopsis: This recording provides meditations based on the emotional spectrum of colours. Individual colours have a different effect on your emotional state. For example, notice how you feel when you imagine a cool green, a bright red, or a dusky mauve. Your senses are directly connected to your emotions. By selecting the appropriate colour for the emotion you want to address at any particular time, you will be able to specifically transform a negative state into a positive one. Self-doubt can be transformed into confidence, laziness into willingness, confusion into clarity.These meditations offer a practical way to disengage from the outside world and to find a place of peace. Designed to help bring balance and harmony into your life, it will assist you to release negativity, develop your confidence and create positive life changes. They can be used when needed, and require nothing of you except to listen. 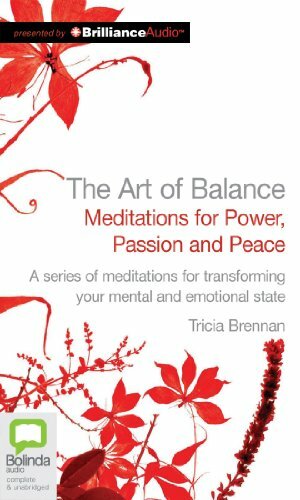 Book Description&colon; Harmonising mediations to restore you to a state of peace and positivity.